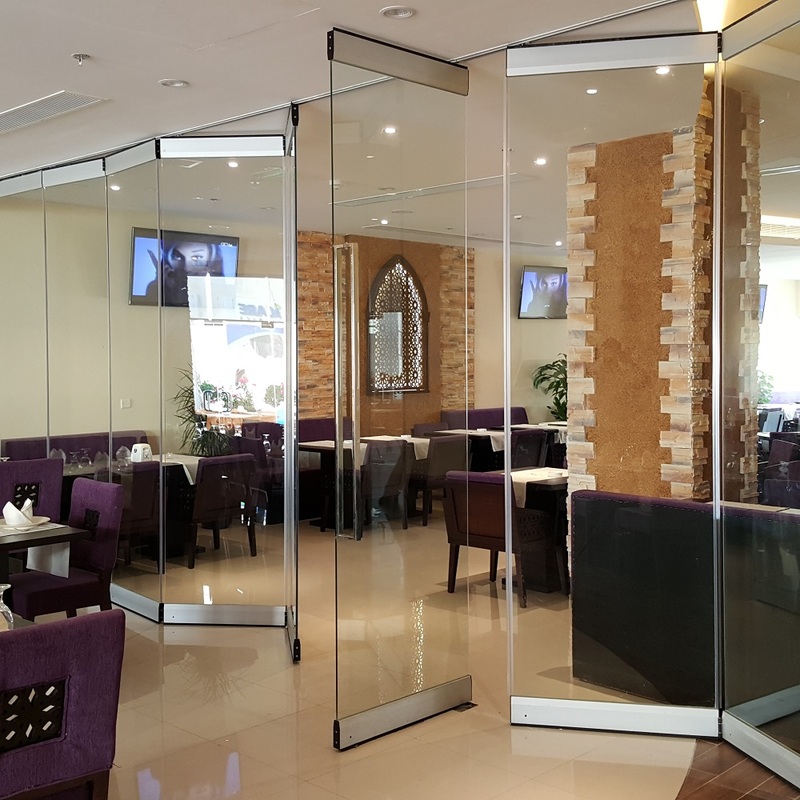 Aadco Frame less Folding Door in dubai more than just a simple door. It is an elegant creator of both space and potential. The architectural realization of your dreams.While the stylish design and the ultra slim aluminum frame connect you with the world outside, the precision engineering and ultra high performance components combine with features perfectly suited to the unique environment of the Middle East. Imagine your home and your life with a Bi-fold door. A design service that offers you every possibility you can think of. That’s the benefit of Aadco Bi-fold doors being totally bespoke. The uncompromising design and engineering of Frame less Folding Door includes airtight seals and locking mechanisms with maximum compression to resist heavy rain and strong winds. This ensures that desert sand, and even the finest dust particles, are always kept outside.All glazing is available in toughened or laminated form for safety and security and can be combined with other benefits such as noise control. For an individual touch, it can also be pattern etched or personalized to suit you. A simple design feature of the AADCO door helps to keep your home cooler in the extreme summer temperatures..
AadcoTOPP is among most old service providers in the field of Automatic Doors and Bifold doors We are enjoying a strong profile of great customer list and extra ordinary services for the satisfaction of our customers and look forward to build stronger business relations in future.